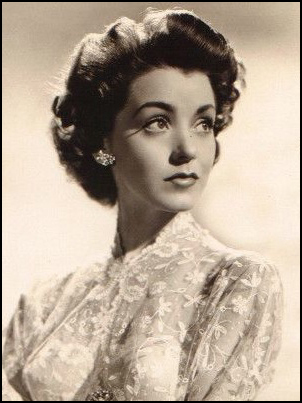 Marsha Hunt was born on 17th October, 1917. She became an actress and appeared in her first film, The Virginia Judge, in 1935. Over the next twelve years she appeared in 44 films including Hollywood Boulevard (1936), The Accusing Finger (1936), Thunder Pass (1937), Winter Carnival (1939), Pride and Prejudice (1940) and Lost Angel (1943). Hunt later recalled: "Four of the twelve films I did at Paramount were westerns. I wasn't thrilled about them. Pride and Prejudice was my first shot at comedy. The bookworm sister, Mary Bennet, was such a delicious character for me to play - squinting, through glasses, singing off-key, wearing sausage curls. I had the most fun. I dearly love comedy; I was never given anything close to it in my dozen films at Paramount. I played sweet young things, romantic leads, but pretty much empty-headed." However, one critic claimed that she was "Hollywood's youngest character actress". During the Second World War she appeared in the anti-Nazi film, None Shall Escape (1944) that had been written by Lester Cole. "It was a strong role in a significant film. I think it was the first film to show atrocities against Jews. We knew Hitler had to be defeated, that he wanted to take over the world, but there was a kind of self-consciousness in Holly, wood about showing anti-Semitism. Most war movies were about fighting 'the Japs.' This film was different. It showed Nazi soldiers galloping into a Polish synagogue and using it as a stable. It showed Jews being rounded up and shoved into cattle cars and going off to who knows where. I think None Shall Escape was the first film to touch on that. The other thing that made it impressive was that it was a prophetic film made before World War II was over, yet it predicted the outcome. We shot it in 1943, and there was no assurance the Allies would beat the Axis. What it did was to prophesy the outcome and predict the Nuremberg (war-crimes) trials. The title None Shall Escape meant that none of these criminals against humanity should escape justice. Even the makeup of the international tribunal (in the film) was right: there are black judges, judges in turbans, Oriental judges. And the United Nations wasn't even in existence then." 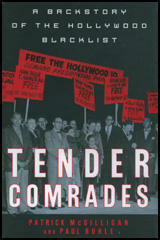 Glen Lovell has argued in Tender Comrades (1997): Marsha Hunt could be tough (as a nightclub singer in Lost Angel), flirtatious (as a wartime secretary in A Letter for Evie), stalwart (as a Polish teacher in None Shall Escape), bookish (as one of the quintet of unmarried sisters in Pride and Prejudice), spoiled and kooky (as a sympathetic socialite in The Human Comedy), or even vaguely sinister (the exotic other woman in Smash-Up).... She ruffled feathers by simply being herself articulate, involved, a passionate defender of minority rights, and, eventually, a Screen Actors Guild activist." 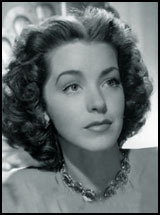 In 1946 Marsha Hunt became a board member of the Screen Actors Guild. Other members included Ronald Reagan and George Murphy: "When joined the board George Murphy was president, and then Ronald Reagan. I could have told you then that those fellows were destined for public office. They were such political animals. They had such a feel for politics, for the inner workings of organizations, for how to get things done. Reagan was a dedicated liberal. Nice, nice fellow, but so political." Hunt and Reagan were fairly isolated on the SAG board: "Most of them were extremely conservative. There were a few of us who were more liberal. And I was starting to be counted as one of the liberals." However, Hunt was totally opposed to those members who supported the American Communist Party: "I had no interest in Communism... I liked my country's system a lot and worked pretty hard for it, for patriotic things." On 20th October, 1947, the House of Un-American Activities Committee (HUAC) opened its hearings concerning communist infiltration of the motion picture industry. Harley Kilgore of West Virginia, Claude Pepper of Florida, Elbert D. Thomas of Utah, and Glenn H. Taylor of Idaho joined forces to protest about the hearings: "We the undersigned, as American Citizens who believe in constitutional democratic government, are disgusted and outraged by the continuing attempt of the House Committee on Un-American Activities to smear the Motion Picture Industry. We hold that these hearings are morally wrong because: (1) Any investigation into the political beliefs of the individual is contrary to the basic principles of our democracy; (2) Any attempt to curb freedom of expression and to set arbitrary standards of Americanism is in itself disloyal to both the spirit and the letter of the Constitution." Hunt was strongly opposed to this investigation and along with John Garfield, Sterling Hayden, Lena Horne, Myrna Loy, Philip Dunne, June Havoc, Humphrey Bogart, Lauren Bacall, John Huston, William Wyler, Henry Fonda, Bette Davis, Gene Kelly, Judy Garland, Vincente Minnelli, Katharine Hepburn, Paul Henreid, Dorothy Dandridge, Melvyn Douglas, Ira Gershwin, Billy Wilder, Edward G. Robinson, Groucho Marx, Lucille Ball, Danny Kaye, Robert Ryan and Frank Sinatra she helped establish the Committee for the First Amendment. On 27th October, 1947, the group flew to Washington, D.C. to protest against the HUAC hearings into the motion picture industry. Hunt later recalled: "The flight was not masterminded by Communist. It was concocted by William Wyler and John Huston and Philip Dunne, who were having lunch at Lucy's across from Paramount... I remember being invited to a small Sunday-afternoon gathering at Willie Wyler's house to plan and coordinate our actions... We went on a chartered plane. The whole industry chipped in to pay for it." Hunt was shocked by the way the press treated the protest: "It was all so new to me. I had never been in a position of public controversy before. We were treated with skepticism and hostility, frequently by the Hearst press and some syndicated columnists. We were so misquoted. In my, own case, I was quoted as saying things I would never say, at a function never attended. This was almost libelous, and I wanted a retraction. But wiser heads said that we should let such things pass, that all of this would soon be yesterday's news and quickly forgotten.... We sat there for two days. We were not given any role in the hearings at all. We were not there as anything hut part of the audience. Later, back at the hotel, we held a press conference, which was well-attended." Hunt recalls that on the flight home the mood had changed: "We went full of verve and dedication and outrage at what was taking place. We were going to try to explain and clarify things to a really confused public. On the flight back to Hollywood we were, I think, subdued and shaken by what we had witnessed and heard in the hearing room, by the ridicule and suspicion that the press afforded us. They thought we must be Communists, or sympathetic to Communism, or incredibly naive. We came home sadder... We had certainly learned a good deal about pressure politics and distortion of our purpose." The chief investigator for the HUAC committee was Robert E. Stripling. The first people it interviewed included Ronald Reagan, Gary Cooper, Ayn Rand, Jack L. Warner, Robert Taylor, Adolphe Menjou, Robert Montgomery, Walt Disney, Thomas Leo McCarey and George L. Murphy. These people named several possible members of the American Communist Party (ACP). As a result their investigations, the HUAC announced it wished to interview nineteen members of the film industry that they believed might be members of the American Communist Party. This included Herbert Biberman, Alvah Bessie, Lester Cole, Albert Maltz, Adrian Scott, Dalton Trumbo, Edward Dmytryk, Ring Lardner Jr., Samuel Ornitz, John Howard Lawson, Larry Parks, Waldo Salt, Bertolt Brecht, Richard Collins, Gordon Kahn, Robert Rossen, Lewis Milestone and Irving Pichel. One of those named, Bertolt Brecht, an emigrant playwright, gave evidence and then left for East Germany. Ten others: Herbert Biberman, Lester Cole, Albert Maltz, Adrian Scott, Samuel Ornitz, Dalton Trumbo, Edward Dmytryk, Ring Lardner Jr., John Howard Lawson and Alvah Bessie refused to answer any questions. Known as the Hollywood Ten, they claimed that the 1st Amendment of the United States Constitution gave them the right to do this. The House of Un-American Activities Committee and the courts during appeals disagreed and all were found guilty of contempt of congress and each was sentenced to between six and twelve months in prison. In June, 1950, three former FBI agents and a right-wing television producer, Vincent Harnett, published Red Channels, a pamphlet listing the names of 151 writers, directors and performers who they claimed had been members of subversive organisations before the Second World War. The names had been compiled from FBI files and a detailed analysis of the Daily Worker, a newspaper published by the American Communist Party. The list included Dorothy Parker and Alan Campbell. A free copy was sent to those involved in employing people in the entertainment industry. All those people named in the pamphlet were blacklisted until they appeared in front of the House of Un-American Activities Committee (HUAC) and convinced its members they had completely renounced their radical past. As a result both Alan Campbell and Parker were blacklisted. 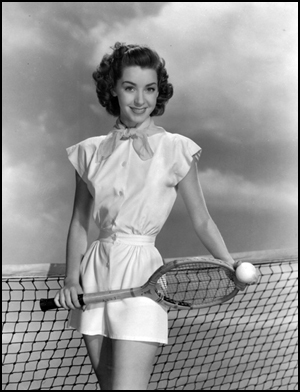 Marsha Hunt was another one who was named in Red Channels: "Well, that ended my career. Red Channels came out in the summmer of 1950, while - how's this for irony? - I was in Paris being invited to dinner by Eleanor Roosevelt. Red Channels was concerned entirely with the broadcast field. The film industry later had its own lists of victims. Red Channels included me because I had been offered my own TV talk show. I'd had beginner's luck on TV, being, as you can see, very voluble. I had been on a number of early talk shows with people like George S. Kaufman and Marc Connelly, bright, articulate folk. And I was currently quite successful on Broadway, having starred in Joy to the World with Alfred Drake and The Devil's Disciple with Maurice Evans in 1950.... They had listed several affiliations under my name - some I'd never heard about, complete lies. One, I think, had me attending a peace conference in Stockholm. I had never been to Stockholm, nor to a peace conference. The rest were innocent activities that Red Channels viewed with suspicion." Hunt's husband, Robert Presnell Jr., was never blacklisted and was not prevented from working: "I don't think I could have survived without being married. Inexplicably, Robert was not blacklisted. I cannot tell you why. He was certainly more outspoken in his political pronouncements and outrage about what was going on, and enjoyed a good argument. He was without any kind of political discretion. And yet he kept working. Thank heaven. He was never a top-salary screenwriter, but he did work.... I, to keep functioning, would do plays in stock. I did twenty or thirty different plays around the country during the 1950s and 1960s. That was not very rewarding financially, because you had to spend a week rehearsing and then one week playing." According to Marsha Hunt, Richard Collins helped maintain the blacklist in television. In the 1960s he was a producer on Bonanza and after she had been recommended for a part in the show, he told a mutual friend: "Don't bother bringing up Marsha Hunt to me. As long as I'm connected with this show, she will never work on it." Hunt commented: "He was so vehement and adament about me, a stranger. I've since heard that he was someone who had been a Communist and repented, which was an enviable position." After the blacklist was lifted Hunt appeared in Johnny Got His Gun (1971), an anti-war novel written and directed by another blacklisted figure, Dalton Trumbo. "Dalton called me and asked me to play the mother in Johnny Got His Gun... We had to shoot the death scene in the very room in downtown L.A. where Dalton's own father had died. No reason on earth for us to do it there, to drag the lights and cameras up those narrow stairs. But for Dalton it was such a subjective venture. He was so bound up in his own statement." Marsha Hunt and her husband, Robert Presnell Jr., became heavily involved in charity work: "I became very involved in what the United Nations was doing. I spent time pounding its corridors, learning about health, nutrition, the basic needs of Third World countries. I was on the board of Planned Parenthood for ten years. I founded the Valley Mayors' Fund for the Homeless in 1983." (1) Marsha Hunt was interviewed about being blacklisted by Glen Lovell in January 1998. Q. You were so passionate about your craft. Why didn't you just hold back, safeguard your career? A. We didn't know the extent of the risk, or the dimensions of the pall that would fall over motion pictures and broadcasting at the time, Franchot Tone, who was on SAG's Board, was going back (east) to do a play or something, and he asked me if I would fill out his term. I was so flattered, knowing nothing of organizations never having joined anything. My father, you have to remember, was a very conservative Republican, and I wasn't sure about unions. Q. How well did you know Reagan? A. Socially. He was a boring liberal. He would buttonhole you at a party and talk liberalism at you. You look for an escape. That (arch-conservatism) was quite an about-face. Q. Any warnings from studios or your agent about joining the SAG Board? A. I was freelance then. Didn't ask the studios. No warnings from anybody. The first month I was on the Board, I sat and listened. Q. But you evolved into quite an activist. A. Gradually, I began to speak. I remember Gene Kelly giving me a warning one day. He said, "Marsha, save your fire for when it matters. You are beginning to be heard." Q. Let's flash forward to June 1950, and the so-called "Bible of the graylist" - the pamphlet Red Channels. Do you have a copy here? A. I would never sully my house with it. Q. It's of historical importance. A. Oh gosh, that's what ended my career eventually. Q. How long were you blacklisted? Did the blacklist end for you? A. Never really. Never fully. Well, I can't say the blacklist never ended, but what is true is that the momentum never was recaptured. I had such an ongoing, thriving career. What was it? Fifty some movies before "the Dark Ages." Then, since 1950, I've made about eight. (2) Marsha Hunt was interviewed by Elizabeth Farnsworth in 1997. Elizabeth Farnsworth: Marsha Hunt, tell us how you came to be blacklisted and how you first learned about it. Marsha Hunt: It was a gradual process with me, I think. I had been on that chartered plane that a number of us - close to 30 of us - film makers, actors, directors, writers, and even Ira Gershwin, to protest what was happening at the HUAC hearings in Washington. Elizabeth Farnsworth: This was in 1947? Marsha Hunt: It was October 27, 1947, fifty years ago. And we went there to try to counter these terribly frightening headlines that were covering the country, scaring moviegoers about the safety of seeing movies, lest their loyalty be subverted with all this secret propaganda that was said to be in there, and we felt that the positive needed to be accented and to protest the treatment of those 19 who were being examined as witnesses. We went back for two days of attending the hearings and on the return the climate in Hollywood had already changed, and I think in my own case I was told that this was years later, that the only way I might be able to work in films again would be to denounce that flight as a serious error that had been masterminded by Communists. I knew quite to the contrary, and of course I couldnt say or swear to such nonsense. I had to declare my undying opposition to Communism. I didnt know or care about Communism. I was terribly worried about what we were doing to democracy. The actual blacklist in my case I think didnt come into force until a publication called "Red Channels." 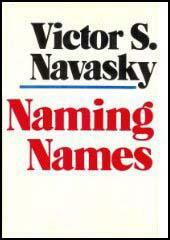 That was a private pamphlet issued in New York about the broadcast industries, radio and television, and it listed with activities under each name that were found to be suspect people who performed on broadcast media who the editors of "Red Channels" felt did not deserve to work because they were either Communists or fellow travelers or pinkos. There were many ugly terms then. I was included in that list. Elizabeth Farnsworth: What happened to you in the years after you were blacklisted? What happened to your career? Marsha Hunt: Well, it really was ended. There were occasional film jobs but they came really in the mid 50's - Stanley Kramer engaged me for the Happy Time, which was a major film and should have been a happy time, but I was asked repeatedly, executive officers, to take out ads of my non-Communism in order to fend off the threats of picketing of the film if I remained in it. This was only done by little groups in the country. Generally, the public didnt know that I had a problem with work, and I think I made perhaps three films in all of the 1950's. Elizabeth Farnsworth: Are you angry now when you look back at this period? Is it hard to forgive people? Marsha Hunt: It was a terribly, terribly painful time. It was shameful. Well, it spread across the nation, as you know. It started with Hollywood, because thats an easy way to get headlines, but it spread to the broadcast media, to education, to even religion, and for well over a decade this was no longer the land of the free, nor the home of the brave. Well, that ended my career. Red Channels came out in the summmer of 1950, while - how's this for irony? - I was in Paris being invited to dinner by Eleanor Roosevelt. Red Channels was concerned entirely with the broadcast field. The film industry later had its own lists of victims. Red Channels included me because I had been offered my own TV talk show. I'd had beginner's luck on TV, being, as you can see, very voluble. I had been on a number of early talk shows with people like George S. Kaufman and Marc Connelly, bright, articulate folk. And I was currently quite successful on Broadway, having starred in Joy to the World with Alfred Drake and The Devil's Disciple with Maurice Evans in 1950. When Disciple closed, Robert and I and the Drakes went off to Europe together, and while we were there I was branded a "patriotically suspect citizen" in Red Channels. When we returned from Paris, the offers had vanished, just mysteriously vanished. I called my agent and said, "I'm back, you know. How are things?" He said, "Haven't you heard?" Then he told me, and that was the first time I heard of Red Channels. They had listed several affiliations under my name - some I'd never heard about, complete lies. One, I think, had me attending a peace conference in Stockholm. I had never been to Stockholm, nor to a peace conference. The rest were innocent activities that Red Channels viewed with suspicion. One of these was the movement in the theater to stop a proposed bill in the city legislature to empower a"moraliry czar" of Broadway with the authority to close any production. The whole theatrical community rose up in protest over that issue, and it was duly reported in the press that I was part of it. The bill was defeated, of course, but that made me "suspect" in the eyes of Red Channels.